show more >>> The Joy baby crib is a classic. 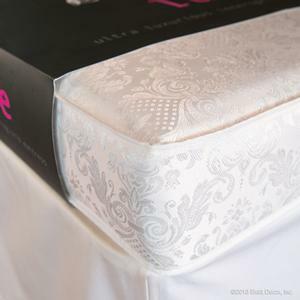 The simple elegant design works in both contemporary and ornate interiors and is perfect for either boy or girl. We love the circular castings and timeless feel of this luxury iron baby crib and the price is unbeatable. 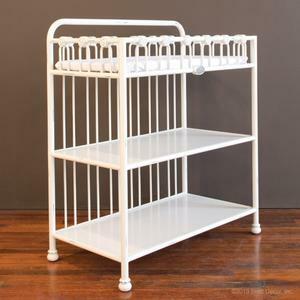 The distressed white finish makes this crib look like an heirloom from a bygone era, a treasure in any nursery. 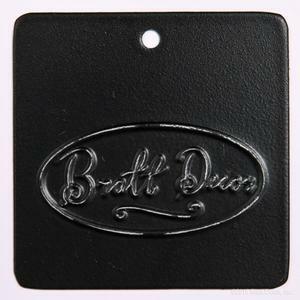 All finishes and distressing is applied by expert craftsmen. The exact level of distressing or patina may vary slightly making every crib unique. Opt for either the daybed kit, or toddler conversion kit, and continue this lovely look throughout your child's toddler years. All of our cribs are designed to the highest safety standards and meet or exceed those set by the U.S. Consumer Product Safety Commission and American Society for Testing and Materials. Each crib is tested by independent laboratories for compliance with US crib regulations. 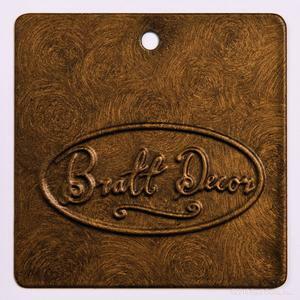 Hand distressed finish creates a feeling of timeless, and is unique. No two cribs are exactly alike. 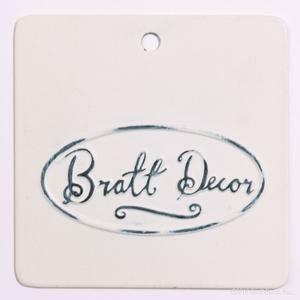 Bratt Decor joy baby crib distressed white The Joy baby crib is a classic. The simple elegant design works in both contemporary and ornate interiors and is perfect for either boy or girl. 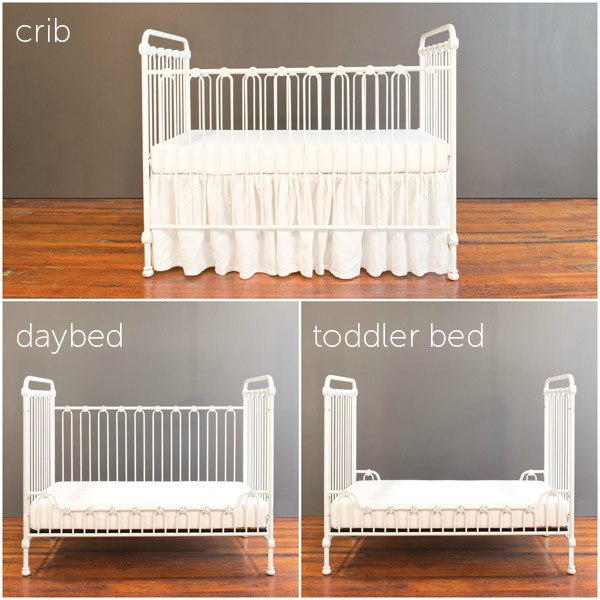 We love the circular castings and timeless feel of this luxury iron baby crib and the price is unbeatable. 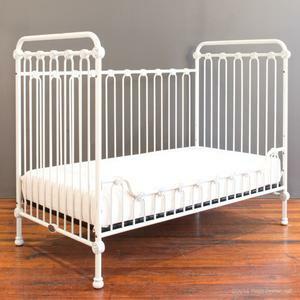 The distressed white finish makes this crib look like an heirloom from a bygone era, a treasure in any nursery. 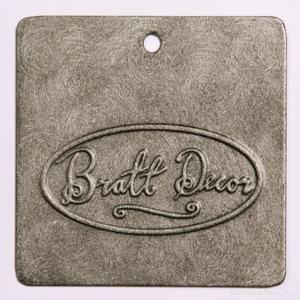 All finishes and distressing is applied by expert craftsmen. The exact level of distressing or patina may vary slightly making every crib unique. Opt for either the daybed kit, or toddler conversion kit, and continue this lovely look throughout your child's toddler years. All of our cribs are designed to the highest safety standards and meet or exceed those set by the U.S. Consumer Product Safety Commission and American Society for Testing and Materials. Each crib is tested by independent laboratories for compliance with US crib regulations.